F.A.E.W., or Fire, Air, Earth, and Water, was an exhibit portraying a fantasy take on the four elements. The show featured two pieces that displayed all four elements, as well as a piece for each that utilizes that element in the production. Various mediums were used, from acrylic paint to ceramic to charcoal. 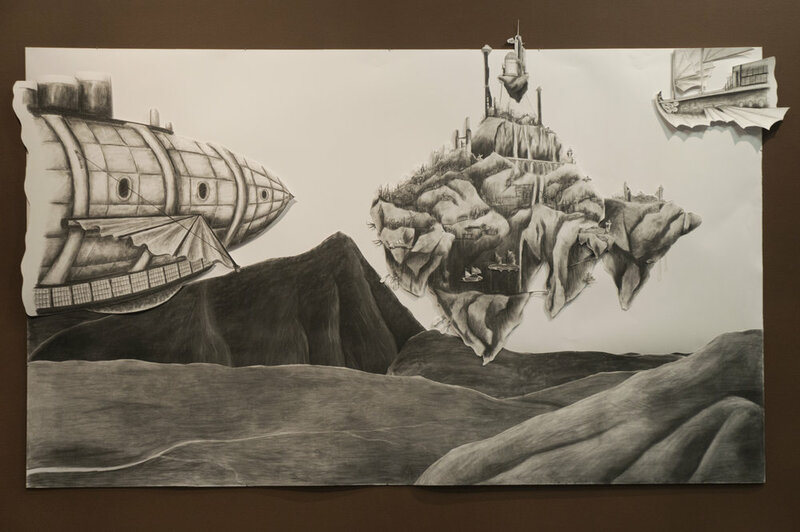 All the works were made between January 10 and April 26, 2017, and were on display from April 26 through May 13 at the California Baptist University Art Gallery. Each canvas painting draws from mythology to represent the elements via a creature, symbolizing the raw power of that which forms the world around us. 15" x 15" x 45"